The skin on our face is one of the most visible parts of our body to show the signs of aging. With time, it loses its elasticity, texture and volume, as most commonly seen in areas such as the lips, cheeks and eyes. 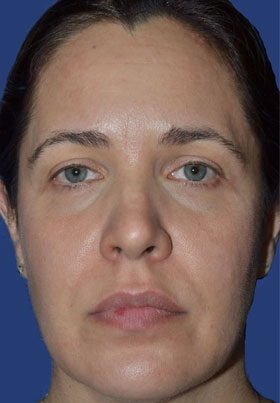 However, help is at hand and the aging process can be pushed back using non-surgical facial rejuvenation techniques such as facial fillers and injectables. To find out more about injectable filler treatments, call our Paramus, New Jersey office at 201-444-9522 today! This non-surgical treatment option is beneficial in rejuvenating areas of the face where shape and definition have become less defined, as well as diminishing lines and wrinkles. There are several different types of injectable fillers that each work differently to treat particular manifestations of aging. Chemical composition, consistency, and longevity for each injectable filler varies, ranging from several months to several years. For many, treatments with injectable fillers can help to postpone the need for a surgical facelift. Injectable fillers work by plumping up the treatment area to promote a smoother, softer look. Different fillers accomplish this in various ways, but the ultimate result is that the skin around the injection site looks smoother and fuller giving your face a more youthful appearance. 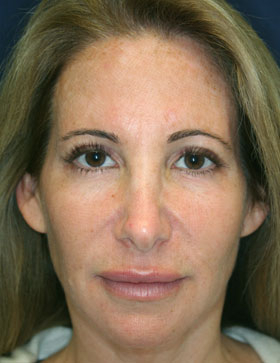 Injectable fillers are also highly beneficial in replacing volume in the face that has diminished due to natural aging. Injectable fillers can help you enhance your appearance and achieve a more youthful look without any invasive surgery or downtime. At your visit, we can determine which injectable filler(s) would be best suited to achieve your desired results. For a more complete rejuvenation, injectable fillers may be used in combination with one another depending upon the individual requirements of each patient. Appropriate and skilled use of these fillers, both individually and in combination, enables us to best restore each patient’s face with a smoother, fuller, more youthful appearance. RADIESSE™ is a volumizer. It is a thicker calcium-based consistency is especially beneficial in replacing volume in areas where it has been lost, such as cheeks, temples, chin, jawline, and hands. 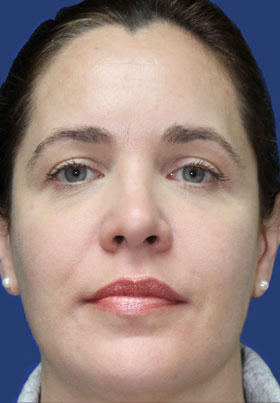 Deeper folds and marionette lines can be significantly diminished with RADIESSE™. Results are seen immediately and over time, the benefits of RADIESSE™ continue by stimulating your body’s production of collagen. Results are instant and typically last up to 1 year. JUVÉDERM VOLUMA® XC is a volumizer. It is a thicker hyaluronic acid (HA) based injectable filler that safely and reliably adds volume to facial regions that become deficient as a result of the aging process. This volumizer is specifically indicated to correct age-related volume loss in the cheeks to help create a more youthful appearance by gently providing lift in the mid face. Results are instant and typically last up to 2 years. JUVÉDERM® XC is a smooth consistency gel made of hyaluronic acid—a naturally occurring substance in your skin that helps to add volume and hydration. JUVÉDERM® XC is beneficial in restoring the skin’s volume and smoothing away facial wrinkles and folds, like “smile lines” or “parentheses” (nasolabial folds—the creases that run from the bottom of your nose to the corners of your mouth). JUVÉDERM® XC is our “go-to” product for providing fullness and shapeliness to the lips. 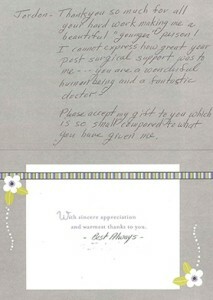 Results are instant and typically last up to 8-10 months. JUVÉDERM VOLBELLA® XC is an extremely smooth consistency gel that contains hyaluronic acid, excellent for providing improved lip contour while boosting subtle lip volume. It may also be used in combination with other fillers to optimally enhance the lips and etched-in vertical lip lines also known as “smoker’s lines” around the mouth. It is also ideally suited for smoothing under eye hollows and creases within the skin. JUVÉDERM VOLBELLA® XC typically lasts up to one year, which may allow a longer interval between treatments than some shorter duration treatments. JUVÉDERM VOLLURE ® XC is an FDA-approved hyaluronic acid filler that is formulated to fill in moderate to severe facial wrinkles and folds, including the “nasolabial” folds or “smile lines” that extend from the sides of the nose down to the corners of the mouth. Hyaluronic acid is a substance that is found naturally in the skin, providing hydration and volume. JUVÉDERM VOLLURE ® XC works by introducing additional hyaluronic acid to areas that have experienced volume loss, resulting in wrinkles and folds. This fades eventually, but additional treatments can be performed for ongoing benefit. Unlike most other fillers, which have an expected longevity of about 6-12 months, JUVÉDERM VOLLURE ® XC is long-lasting and can produce results that last up to 18 months. BELOTERO BALANCE® is an extremely thin and smooth consistency hyaluronic acid gel that is ideally suited to help smooth out stubborn, etched-in lines and wrinkles such as vertical lip lines, also known as “smoker’s lines.” BELOTERO BALANCE® can gently fill in delicate areas such as under eye hollows for a smoother and look. 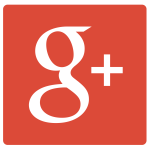 Results are instant and typically last up to 6-8 months. WHAT AREAS CAN BE TREATED WITH INJECTABLE FILLERS? One week prior to your treatment, aspirin, ibuprofen, Vitamin E, fish oil, and other blood thinners should be avoided to minimize the chances of bruising and swelling. Arnica Montana, a homeopathic supplement, can be taken prior to your treatment to minimize this risk as well. Arnica Montana is available at The Breslow Center. After discussing your customized treatment plan and the appropriate injectable fillers are selected, the treatment area(s) will be cleansed with an anti-bacterial agent and a topical numbing cream will be applied to make your experience as comfortable as possible. Minimal discomfort at the time of your treatment can be anticipated as the injectable fillers also contain numbing agents for added comfort. The actual injections are performed with an ultra-fine needle or smooth-tipped cannula and take only take a few minutes per treatment site. The areas are gently massaged. Then, cool compresses are applied to the treated areas during and after your visit as this will help to minimize any swelling. Your beautiful and natural results are seen immediately! While your results are visible immediately, you may experience some temporary redness and minor swelling or bruising at the treatment areas immediately following your visit. Cool compresses to the treatment areas are recommended for the first 1-2 days to help diminish any signs of swelling or bruising. For one week following your treatment, it is best to avoid aspirin, ibuprofen, Vitamin E, fish oil, and other blood thinners. Normal activities can be resumed immediately following your treatment. Exercise may be resumed the following day. WILL MY FACE LOOK NATURAL AFTER INJECTABLE FILLERS? Our top priority is to help you achieve the most natural look possible. “Less is More” we always say, when it comes to achieving this look. In just one visit to The Breslow Center, patients who come in with a tired or worn out appearance can leave minutes later with a happier, natural look after having a treatment with injectable fillers. 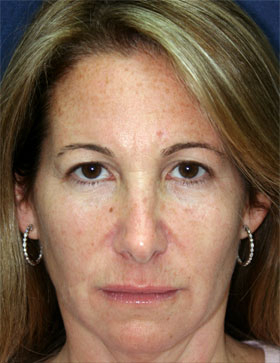 I would like to leave a comment about Melissa Giordano, who now administers the liquid facelifts. She is beautiful herself and has a definitive eye for beauty. I am 69 years old, and Melissa corrects what nature diminishes over time to restore my original facial structure and she does it uninvasively. My husband is much younger, and people say I look younger than he does. Many of my friends go themselves after seeing what she did for me.